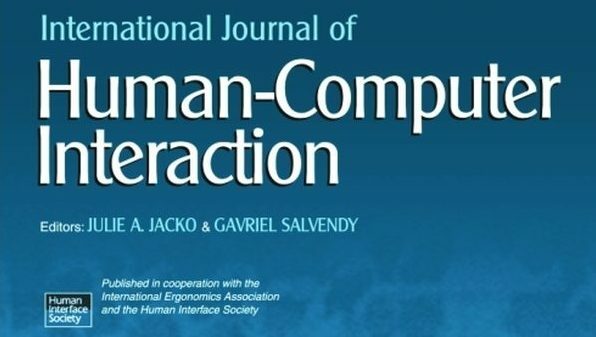 Marc Fabri and Debra Satterfield have been busy guest-editing a special issue of the International Journal of Human-Computer Interaction. Marc explains how this special issue came about and introduces the papers. The full editorial is available on the journal website (Taylor&Francis). The theme of the issue is “Designing with and for users on the autism spectrum” which has been the title of a successive number of parallel conference sessions Debra and I organised over the years. With much interest in these conference sessions, we decided to try and put a special journal issue together – inviting past presenters and also issuing a public call. The call for papers went out 2017 and we’ve had a good number of submissions. The review by an international panel of experts took a fair amount of time and went through several iterations. It was finally completed in autumn 2018 and I’m very pleased to announce that the issue includes 5 papers, originating from the US, Spain, Austria and the UK. These papers cover some excellent examples of participatory design, as well as important reflections on how autistic people can be involved in the conception, design and creation of technology that is made for them – with them. The importance of end-user participation in the design and development process has been widely acknowledged. Over the years, different terms have been used to describe such involvement, e.g. user-centred design, participatory design, co-design, informant design, design thinking or emancipatory design. Whilst there is much overlap and terms are often used interchangeably, approaches can differ in how they view the role, privilege and empowerment of the stakeholders involved. For this Special Issue, we were particularly interested in approaches that involved autistic people in a highly inclusive and empowered way, as part of the design team and as experts of their own lived experiences. This presents new challenges to the designers of technology: established participatory design practices may prove challenging to apply as autistic users may find it difficult to express their preferences clearly. They may also struggle with the roles typically assumed in participatory design approaches that rely on active user involvement, participation in co-creation sessions and prototype testing and refinement. On the other hand, there may be innovative participatory design methods that capitalise on autistic users’ strengths and interests. Therefore, due to the wide variances in skills and abilities demonstrated by persons with autism, for best results a robust set of user participatory strategies need to be considered prior to selection and implementation. This Special Issue focuses on examining such methods, approaches and theoretical underpinnings for effective participation of autistic end users. The accepted papers present important examples of good practice for how research, design and development can be conducted with full participation of autistic end users – not just in the final stages of evaluation but from the earliest point of technology conception and ideas generation. Much previous research in this area has been dominated by work with autistic children. We are therefore particularly delighted that two out of the five papers are concerned with participatory design with autistic adults, a growing area of interest and importance. We hope that this Special Issue inspires future research around the participation, empowerment and emancipation of end users on the autism spectrum, with a specific focus on capitalising on autistic strengths. The ultimate goal, in the guest editors’ opinion, is to help researchers and designers reflect on their position of power and privilege in the design process, and increasingly to step aside to let autistic end users become true co-creators of the products that are ultimately meant for them to use, enjoy and sometimes greatly rely on. This research uses long-term participatory design processes to develop individual solutions for nine different autistic children. The research employs a number of different methods, informed by the capabilities, strengths and preferences of these children. The authors contribute to the current discussion around technology for disabled people by proposing a new, alternative approach to participatory design and its evaluation. 2. ‘Today I tell…’ a comics and story creation app for people with autism spectrum condition. Their paper describes the design and development of an app to help autistic people express themselves through the creation of stories and comics. The focus is on involving multi-disciplinary design teams as well as a wide range of stakeholders, in order to maximise functionality, usability and accessibility of the final product. The authors reflect on the creation of Point OutWords, which involved co-creation activities both with autistic children and with therapists. The authors adapted their design process to the needs of non-verbal participants, with a focus on strengths such as receptive language skills. This paper reports on the design of a two-player game that encourages complex emotion recognition and collaboration between autistic people and their neuro-typical peers. The game was co-designed, evaluated and iteratively improved by autistic college students, their peer mentors, a psychologist and computer scientists. What makes this approach unique is the involvement of autistic programmers who contributed to the software development. The game requires two players to cooperate and interact with each other, not just within the game environment but also in the real world. The authors share their insights and lessons learned to guide future participatory design projects. In this paper, challenges related to face-to-face communication are alleviated through the use of collaborative virtual environments where participants are represented by avatars. This presents opportunities for participatory design activities taking place in a virtual environment, allowing autistic people to contribute equally and in line with their preferred communication styles and abilities.